Last week, you read about the benefits of an ethical will. These wills are a way for you to share your personal beliefs, spiritual values and hopes for the future with your family. Today you will discover how some people are using ethical wills, to set forth their financial principles and values. Discuss your philanthropy values and principals. As you may have read in my blog titled One Big Happy Family - Until We Discuss the Will, I am a proponent of family meetings to discuss your estate planning (or at least parts of it). Given that many people are uneasy with having a family meeting to discuss money and inheritances, an ethical will provides you the opportunity (albeit after you have died) to clarify for your family your thinking and decision making process in respect of your estate planning. However, be mindful; if the objective in writing your ethical will is to be positive and motivating, you may need to consider whether the clarity you wish to provide to your family relating to your estate planning decision making process, is in keeping with this objective. Given the tremendous failure rate of second and third generation businesses (only 30 percent of all family-owned businesses survive into the second generation and only 12 percent will be survive into the third generation), an ethical will can be used to convey the guiding principles of your family business, and even set forth the challenges and opportunities you foresee for the company going forward. “In contemplating the scale and variety of intra-family conflict, we have come to the conclusion that many such conflicts are, in part, attributable to the death of a leader who had not thought to clearly transfer his or her intentions, wishes and wisdom to the surviving family members. Lacking direction and the benefits gleaned from a legacy of insight and wishes passed on by the patriarch or matriarch, surviving children often become absorbed in the negative emotions of selfishness, resentment and jealousy, which all inevitably leads to trouble for the business”. Thus, any guidance and direction you can provide to your children may be invaluable as they try to navigate through the issues of succession of a family business. “I would love to see you become responsible members of the community and philanthropists. To that end, I have set up a donor-advised fund as the main conduit for our philanthropic interest. 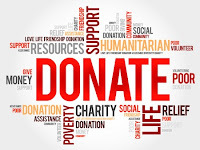 This fund will give you and possibly your children the ability to make grants to worthy causes. I want portability so that you can direct grants to your own communities, as well as to national and international interests”. 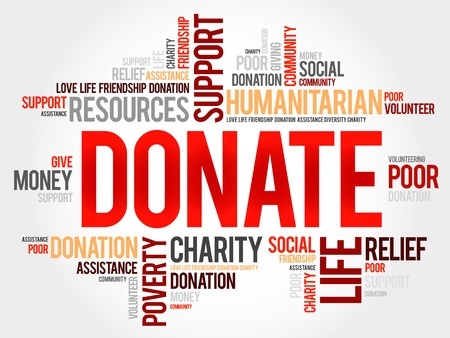 Alternatively, instead of setting up a charitable fund, you could just encourage philanthropy by speaking to the importance of charity in your ethical will and hope you lead by example and your children follow in your charitable footsteps. Ethical wills provide you with a tool to impart both your spiritual and financial values and beliefs and principles to your children. 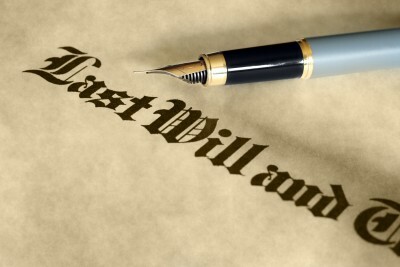 You may therefore, wish to consider using an ethical will in addition to the traditional Last Will and Testament. Wills are typically matter-of-fact documents, as they have to be drafted to withstand legal challenges. Wouldn’t it be nice to have a “softer” complementary document, letter or even a video, in which you can express the following? Today, I will discuss such a will, commonly known as an ethical will. According to Wikipedia, “the ethical will is an ancient document from the Judeo-Christian tradition. The original template for its use came from Genesis 49:1-33”. These wills were designed to pass ethical values from one generation to the next. Modern day ethical wills had been adapted and modified and they remain excellent conduits to ensure our ethics, morals and standards are passed down and on record. While ethical wills have typically been used to pass personal values to your family, some people are now using ethical wills to include financial issues and/or provide business guidance and values to second generation business owners. I will discuss these “wealth” wills next week. When Do You Present an Ethical Will? Ethical wills can be written and presented literally anytime from cradle to grave. 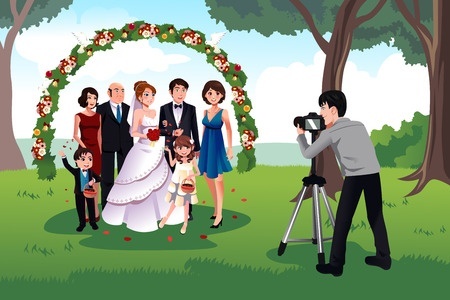 You can write such a document when your son or daughter gets married, has their first child, or as a statement at the end of your life; but in no way are you limited to such occasions. Most ethical wills are written as end of life statements and can be shared while alive or after you pass away. I would suggest that most people would prefer to have their ethical will shared after they pass away as it avoids confrontation; although personally, I think there is something to be said for explaining decisions and setting forth your values and beliefs in person. Ethical wills are very personal documents and no two, will be the same. Should you wish to write such a document, the discussion and considerations above, should give you a good start on writing your ethical will. When I meet with my clients to review their financial statements, I typically have an agenda of various topics I wish to discuss with them. One topic I like to review is their staffing situation. We typically analyze "accountant numbers" such as staffing costs as a percentage of sales, but I also like to review other employment related issues such as whether the client has updated employment contracts and have they entered into consulting contracts (employee vs independent contractor issues). Once on this topic, clients often want to discuss their severance cost obligations with respect to (a) dismissing an employee (b) downsizing if their business fell off and (c) obligations should they sell the business? Since those issues are way beyond my skill-set, I refer them to their employment lawyer. Since I thought you may wish to know the answers to these questions, I asked Stephen Shore of the firm Sherrard Kuzz LLP, an employment and labour law firm, if he could provide his expertise on the severance issue. Stephen kindly agreed to write a blog post on The Top 5 Severance Issues for Business Owners in Ontario. Before I turn it over to Stephen, please note that; employment law can vary significantly from province to province and the below commentary is limited to Ontario. The commentary is also general in nature. You should seek employment law counsel in your own province that addresses your specific situation. With all these caveats out of the way, let's get to Stephen's post. The following are in my professional opinion the top 5 severance issues for business owners in Ontario. 1. Obligations on Termination – How much will I owe? Is there a valid employment agreement? How long has the employee been with the company? How much did s/he make? A business owner who has not pro-actively considered the cost of termination is often surprised by the size of the “bill”. On the other hand, those who plan ahead achieve two extremely valuable objectives: (1) lower cost and (2) cost-certainty. The easiest and most straight-forward way to achieve these objectives is through the use of a written employment agreement which defines the terms and conditions of employment, including what happens on termination. Properly drafted and executed, an employment agreement can limit an employee’s entitlement upon termination to the minimum amount set out in the employment standards act (roughly one week per year of service). Without an employment agreement, that amount can be upwards of one month per year of service, and even higher. That can amount to a very big financial difference, particularly if the employee has been with the company for many years. An employment agreement may also be used to secure other significant protections such as non-solicitation and confidentiality obligations. A business that operates without written employment agreements leave itself vulnerable to the will of the employee-friendly courts. This is not a desirable place to end up. The most prudent approach is to have all employment contracts prepared by experienced employment counsel, and reviewed periodically, to ensure the language used is and continues to be enforceable. Employment contracts should not be attempted without professional assistance. 2. Employment Standards Act Requirements – Do I owe statutory severance pay? The Employment Standards Act (“ESA”) sets the minimum (floor) for what an employee is owed upon the termination of employment. There are two (2) categories of potential payment under the ESA: “termination pay” and “severance pay”. Though the general public tends to use these terms interchangeably, “termination pay” and “severance pay” are not the same. Under the ESA, an employee is entitled to advanced “notice” of termination, which notice can be given in the form of “working notice”, “pay in lieu of notice” (“termination pay”) or a combination of both. “Severance pay” is owed to an employee regardless whether the employee is entitled to “termination pay”, but is only owed to an employee who has greater than five (5) years of service and whose employment is terminated by an employer with a payroll greater than $2.5 million dollars. In calculating whether the 2.5 million dollar payroll threshold is met, an employer must look at: (i) the aggregate wages of employees in the fiscal year prior to the severance, and (ii) the product of the total wages of employees during the four (4) weeks prior to the termination multiplied by 13. If either amount exceeds 2.5 million the threshold is surpassed and the employee is entitled to “severance pay” in addition to whatever “notice” to which the employee is entitled. 3. Temporary Lay-off vs Termination – Am I permitted to lay-off an employee for a period of time? Many business owners are surprised to learn that – at law – an employer does not have the right to “lay-off” an employee for any time period, regardless whether there is a good reason or however short the period of time. 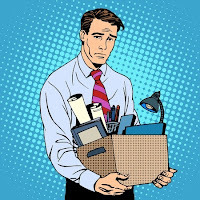 The act of “laying off” can be treated by the employee as the termination of his or her employment and a wrongful dismissal suit may follow. That being said – the “right” to lay-off an employee can be introduced into an employment relationship through an employment contract or practice. That is to say, an employer and employee can agree in a written employment agreement (or, in the case of a unionized workplace, a collective agreement) that an employee can be laid-off without triggering a termination. Alternatively, if the employee has experienced lay-off on several previous occasions without complaint, then it may be implied that, through practice, the right to do so has been introduced into the relationship. It is important to note that even where the right to “lay-off” has been introduced into the employment relationship, the “lay-off” must comply with the provisions of the ESA which sets limits on the length of time a temporary lay-off may last and requires certain employee entitlements to continue during a period of layoff (i.e., group benefits). Once again, a lay-off provision should not be attempted without professional assistance. 4. Mass Termination – Are there special rules for a major restructuring event? Yes – there are special rules which apply when fifty (50) or more employees are being terminated in a four (4) week period. In addition to the increased notice / “termination pay” requirements, an employer who carries out a mass-termination has reporting and posting requirements imposed by the Ministry of Labour (Ontario) which, if ignored, can have enormous financial impacts. A mass-termination event is a very sensitive event which imports significant regulatory obligations. An employer is well advised to seek expert assistance well in advance of a potential occurrence. 5. Termination Meeting – How do I tell someone their employment is being terminated? In carrying out a termination meeting, an employer is expected to be respectful, fair and compassionate. The failure to do so could result in significant damages. This does not mean an employee is entitled to an explanation, justification or discussion concerning the merits of the decision to terminate. Rather, it requires an employer avoid being harsh and insensitive by, for example, publicly humiliating the employee or terminating the employee on his/her birthday or holiday. The communication in the meeting should be direct and firm. 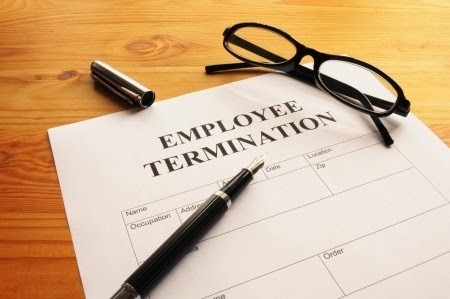 The employee should be provided with an original signed copy of the termination letter. Other best practises would be to have a second company representative present to take notes. The meeting should be held towards the end of the working day (if possible) or at a time when the employee would be able to leave without encountering his or her colleagues. Following the meeting, the employee should be permitted to retrieve personal belongings and security should be on-hand and utilized only if required. It is sometimes appropriate to offer the employee transportation home (i.e., taxi). Once the termination meeting is complete, access to email and electronic records should be discontinued and a communication should be sent to other employees advising that the employee is no longer with the company. Additional considerations may apply where the termination is for cause, where an offer of settlement is being made or where other factors are involved (e.g., unionized environments, mass-terminations, etc.). Professional advice is always recommended to ensure all legal and technical aspects of the termination are covered. Stephen Shore is an experienced employment and labour lawyer, representing employers. Stephen regularly writes for a variety of employment and labour law publications and speaks on his areas of expertise. 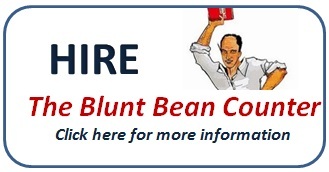 Please feel free to contact him directly at 416.603.6264 or by e-mail at sshore@sherrardkuzz.com. Sherrard Kuzz LLP is one of Canada’s leading employment and labour law firms exclusively representing the interests of management. 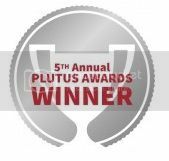 Recognized nationally and internationally, this team is consistently named among Canada’s Top 10 Employment and Labour Boutiques (Canadian Lawyer®), Canada’s Leading Employment & Labour Law Firms (Chambers Global®) and as Repeatedly Recommended (Lexpert®). I will be sending out specific mailings on matters of importance to small business owners and I am considering, depending upon the interest, holding a roundtable for small business owners who are in the Toronto area. Now that tax season is over, I will start the mailings shortly. Last year, I asked you, my readers, for some topics you would like me to write about. One reader suggested I discuss the subject of the capital gains reserve and tax planning around the reserve. As they say, better late than never. Today I will discuss the machinations of the capital gains reserve and some planning, especially in respect of the sale of a cottage to other family members. The reader, who asked the question, stated that his 65 year-old spouse was going to sell a rental property and wondered if it made income tax sense to transfer half the property to their son before the sale. I will address that question later in the post. 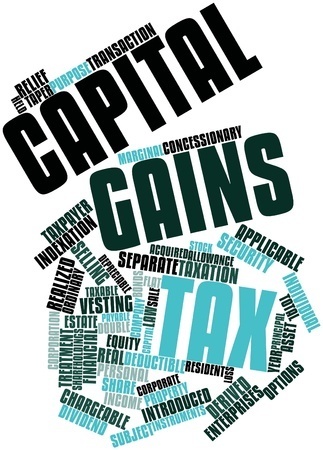 What is the Capital Gains Reserve? The Income Tax Act ("The Act") contains a provision [subparagraph 40(1)(a)(iii)] that allows you in general, to claim a capital gains reserve where all of the proceeds from a sale of capital property (typically real estate or shares in a corporation) will be not be received in the year of sale. To make a claim you must file form T2017 – Summary of Reserves on Dispositions of Capital Property with your income tax return. The Act states that at least one-fifth of the capital gain must be reported in the year of sale and each of the following four years (where the gain arose because of a transfer to your children of certain farm property, fishing property or shares of an Small Business Corporation, you typically can claim a ten year reserve). Thus, the reserve would be $243,000 for year two and you would report a capital gain of $81,000 ($324,000 yr. 1 reserve -$243,000 yr. 2 reserve). I mentioned earlier that the reader had asked about whether his wife should gift the property to her son before the sale to reduce the family income tax bill. Unfortunately, as I have discussed several times on the blog, transfers of property to family members result in a deemed disposition (sale) at the property’s fair market value (if the transfer is to your spouse, there is an automatic tax-free transfer unless you file an election opting out of the automatic rollover). So if the reader’s wife was selling her property for a $1,000,000 and transferred it to her son before the sale, she would be deemed to have sold the property for $1,000,000; the same consequence as if sold to an arm’s length buyer. What the reader's wife and anyone selling a property where the proceeds are paid over time need to understand is that you must ensure you leave yourself with enough funds to pay the income tax liability (i.e. the 1/5 required gain each year). That is typically not an issue; however, if you have a long term of repayment, say 10 or more years, this can become problematic. Therefore, for both business and income tax purposes, you will typically want full payment of your proceeds within five years. One of the most challenging assets to tax plan for is a family cottage. I wrote a three-part series on this topic, which you can find under my favourite posts on the right hand side of this page, under the topic, "Family Cottage". 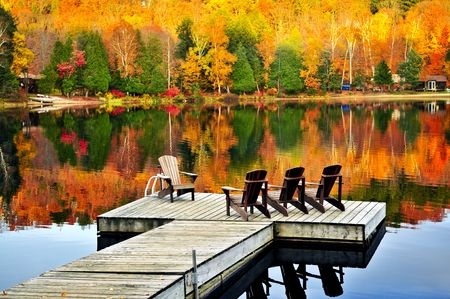 Where you wish to sell your cottage to your children, you may want to consider allowing them at least five years to repay the purchase price and tailor the purchase terms to the capital gains reserve. If you plan to gift the cottage to your children, you will have a deemed disposition at the cottages fair market value as discussed above and you will have to report the capital gain and pay the related tax in the year of gift. Consideration should be giving to selling the cottage to your children for promissory notes which you may or may not forgive in your will. However, by selling, subject to advice by your accountant, you may be able to utilize the capital gains reserve to defer the tax on the gain for up to five years. [If your child is married, you should consult a family law lawyer before gifting or selling property to your child]. You should always obtain professional advice before the sale of any property; especially one is which you hope to use the capital gains reserve, as the legislation is complex. However, when used properly, the reserve can smooth your income tax liability over as many as five years.